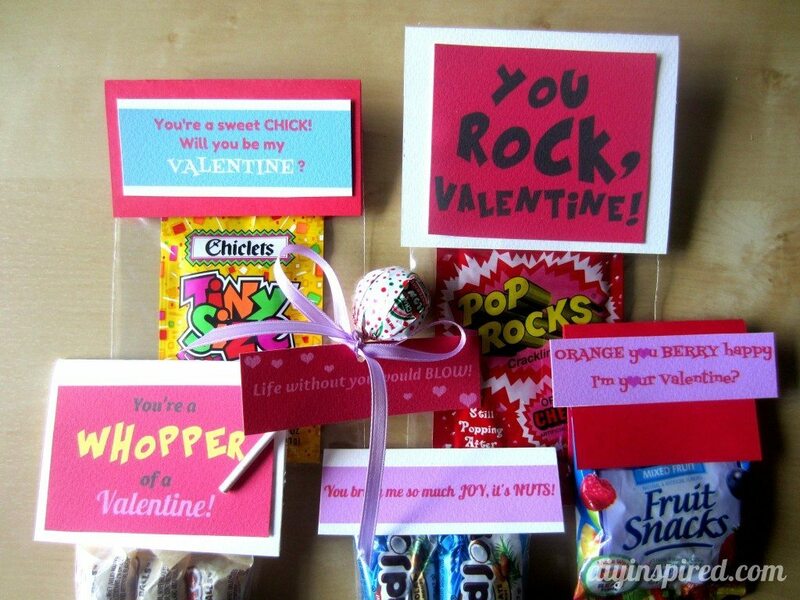 Even though my daughter is not yet old enough to be in school, I thought it would still be fun to come up with some DIY Candy Valentines with a Free Printable for my DIY Inspired readers. I figured my daughter and I could pass the ones I made for this post out to friends and loved ones. I have done a candy sayings post in the past to help cheer up my husband when he hurt his foot last year, so if you need more inspiration or want to use different candies check out that post. If you like these, please help yourself to this free printable! Here are the sayings that I used this time. I tried to be creative and funny. Let me know what you think! If you have other ideas, I’d love to see your sayings in the comments below. I used favor bags, scrapbook paper, and ribbon to embellish them. Double sided tape makes it easy to assemble. Here are a couple more photos. I had a lot of fun making them. I hope you print them out! 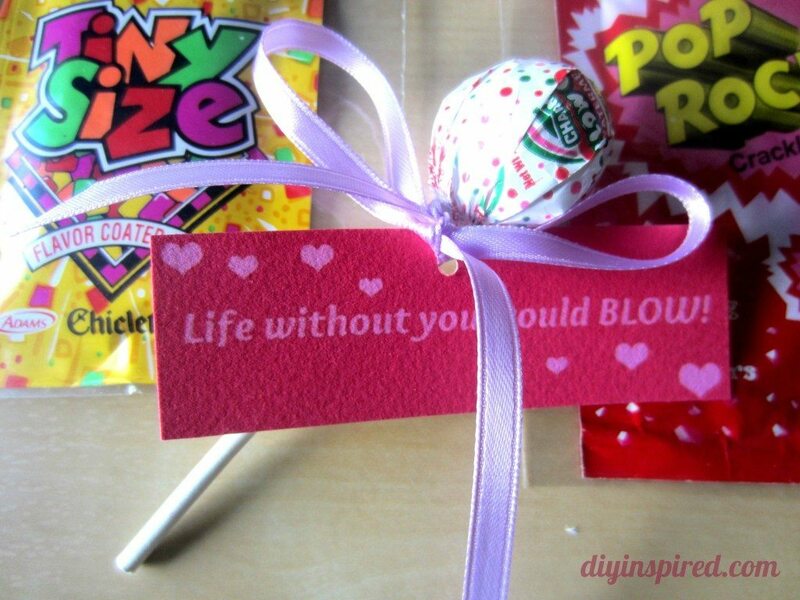 Enjoy and don’t forget to leave your candy sayings! 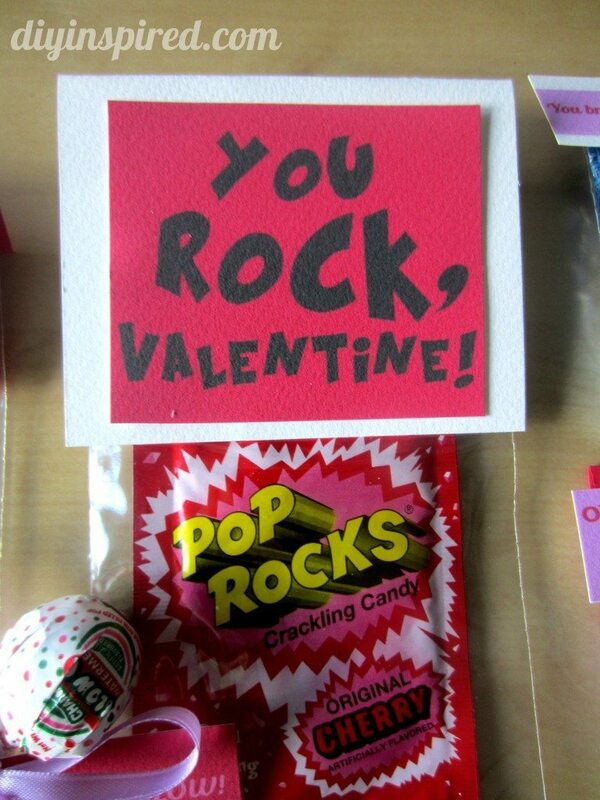 Here is Barbara’s adorable Valentine’s Day Banner! 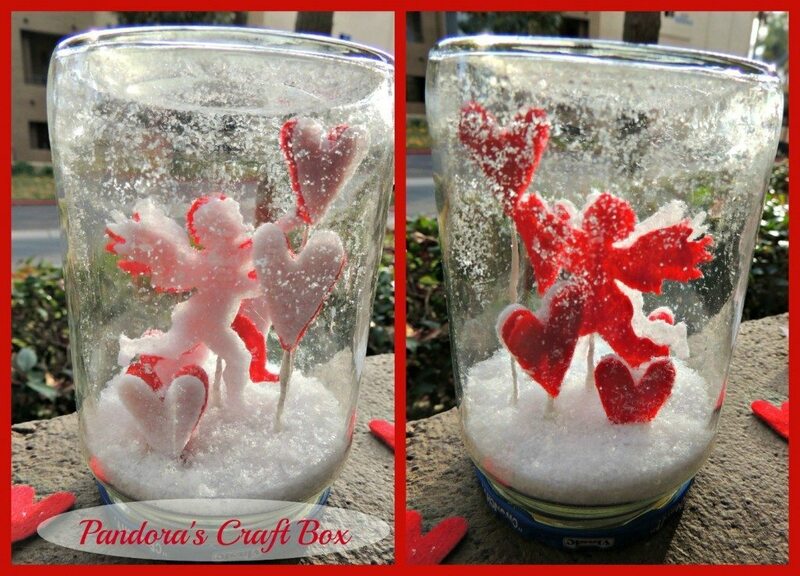 And here is Loren’s cute Cupid Felt Valentine’s Snow Globe! Thanks for the DIY inspiration! I am a wannabe DIY mom and will totally follow your blog to get started!